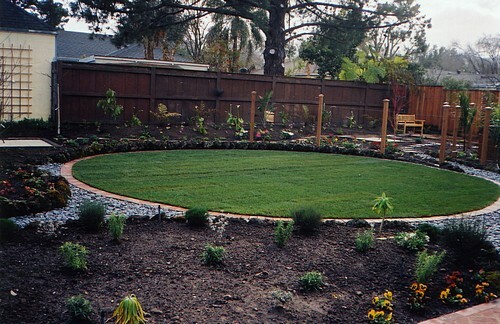 Circular lawn in Saratoga, California. 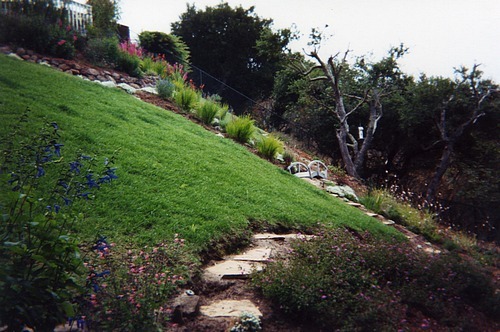 A very steep lawn in San Carlos. 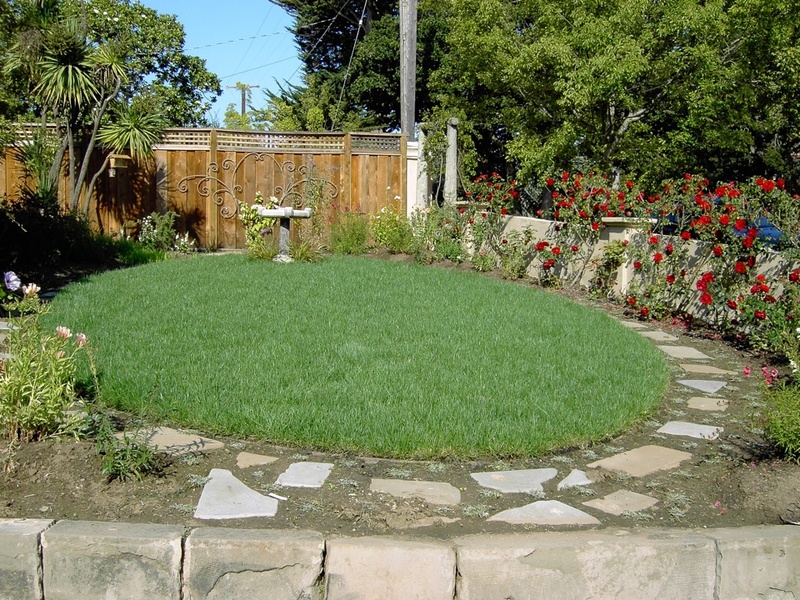 Lawn surrounded by bird and butterfly attractors. San Mateo. 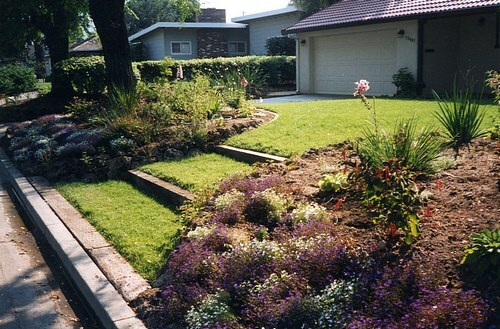 A front lawn in Redwood City. 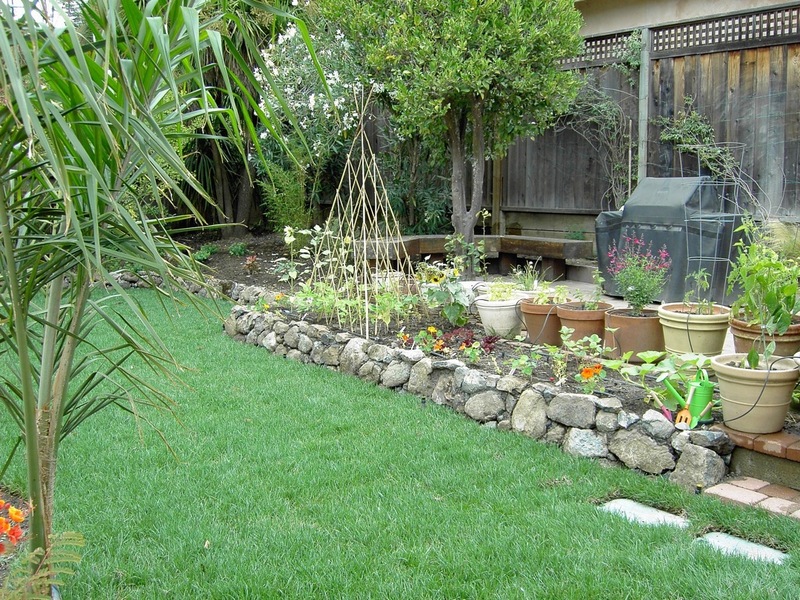 A lawn with a built in veggie bed. 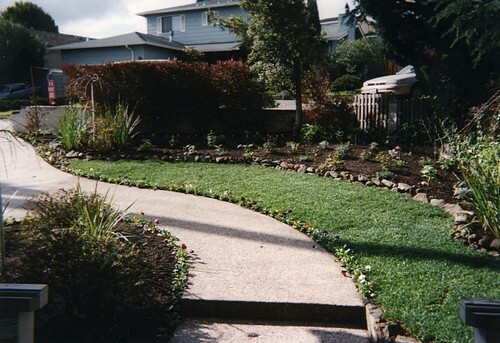 San Mateo.